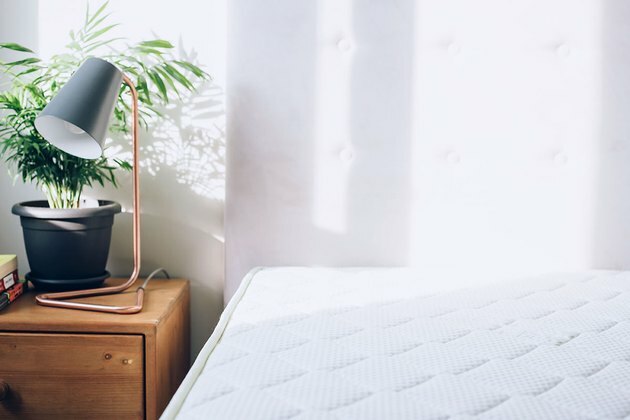 A healthy environment is a must-have for a good night's sleep, but it's an ongoing challenge to keep bedrooms free of dirt, sweat, and dust mites. (I know, gross.) 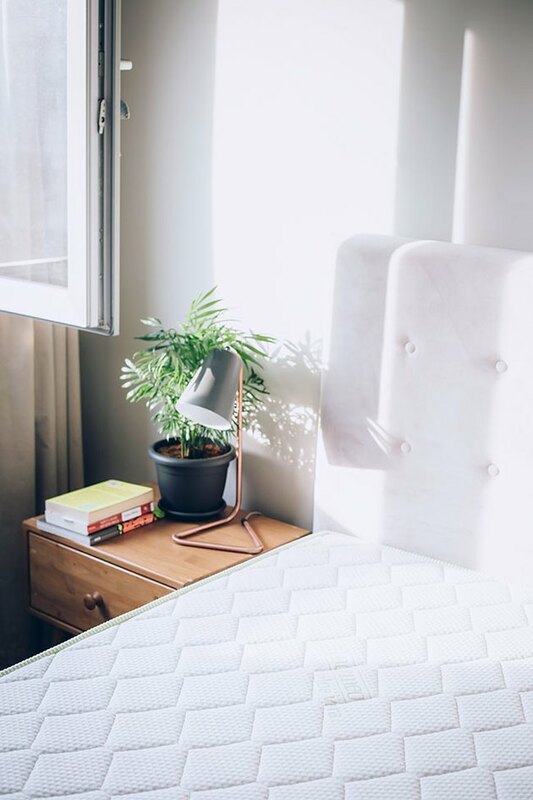 We spend a third of our lives sleeping, so it's no surprise that allergens accumulated on bedding and mattresses can leave us congested, interfere with sleep quality, and cause skin irritation. 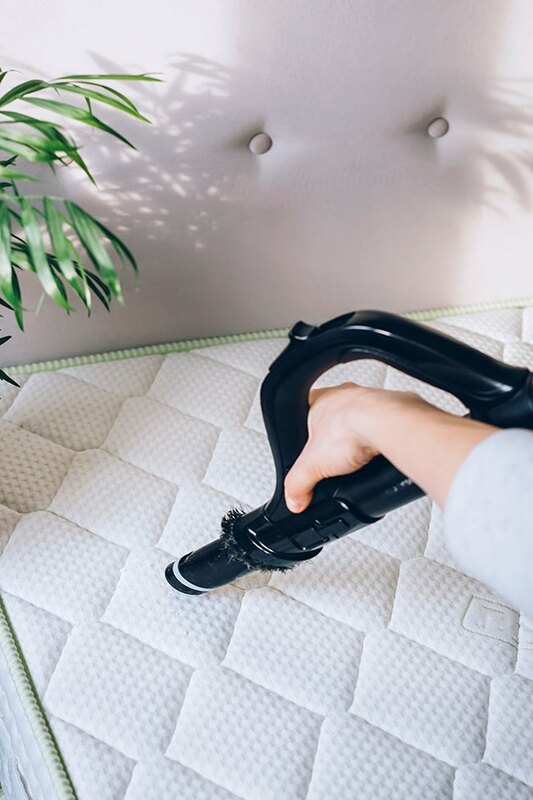 Rest assured, by giving your mattress a deep clean every six months, you'll have sweeter slumbers in no time. Follow these steps below for a full bed refresh. First, strip the bed completely. 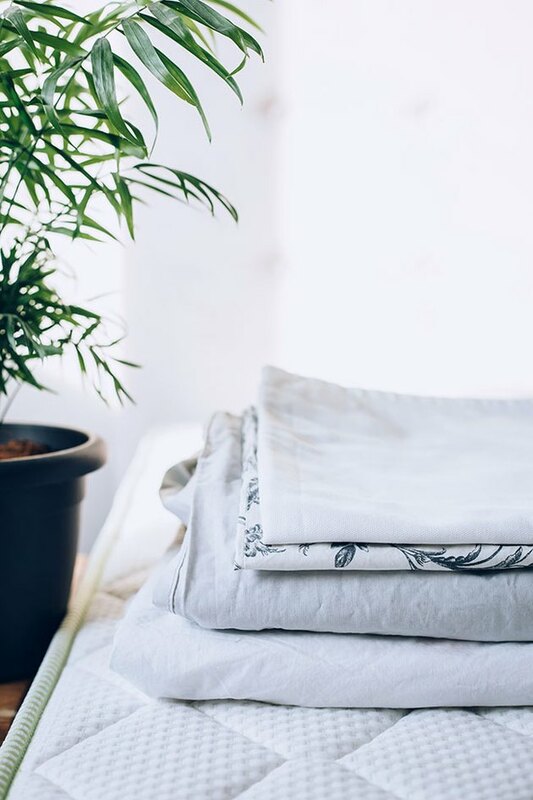 You may be diligent about washing your sheets, but blankets, duvets, and mattress covers should be washed once a month. Launder in hot water and tumble dry on high heat to kill dust mites. Next, go over the mattress thoroughly with your vacuum's hand held attachment. Hit the top, sides, and underneath to pick up lingering debris, crumbs, or pet hair. Now you're ready to tackle any lingering mattress stains. A simple solution of 1-teaspoon laundry detergent mixed with 1 cup of warm water cleans up blood, urine, and other stains. Like with carpet stains, you don't want to drench the area you're cleaning. Gently scrub the cleaner into the stain and let the mattress dry overnight. Repeat until the stain is removed. TIP: Soak up mattress spills and accidents right away. Use paper towels to soak up as much liquid as possible, and then cover the area with baking soda to absorb any remaining moisture. Let the baking soda sit for several hours and then vacuum up. 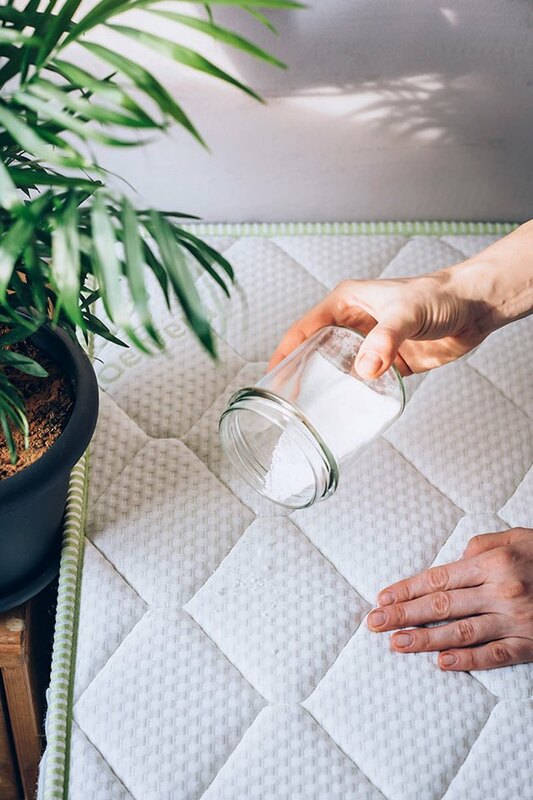 Baking soda is the cheapest and easiest way to deodorize a mattress. It lifts grease and grime and absorbs odors and moisture. 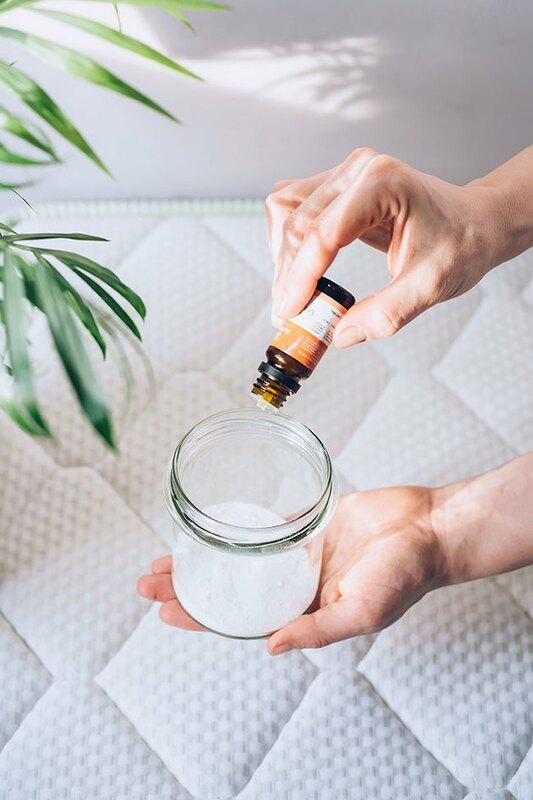 Combine a box of baking soda with 20 drops of essential oil, stirring to mix thoroughly and break up any clumps. Clove, rosemary, eucalyptus, peppermint, and lavender essential oils not only smell great, but can also help eliminate dust mites. Let the baking soda mixture sit for about an hour to remove any moisture before using on your mattress. Sprinkle the mattress liberally with the baking soda mixture and gently brush it into any seams or grooves. 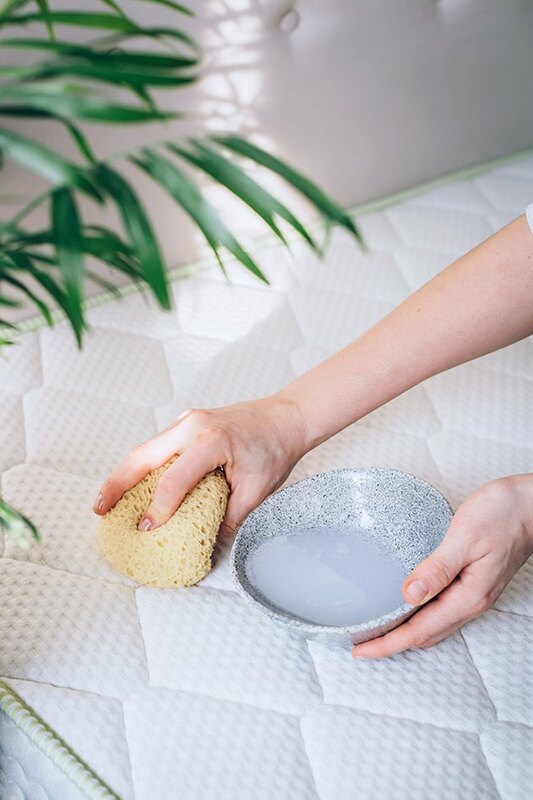 Let the baking soda sit for at least 30 minutes or longer (overnight is ideal) to give it time to absorb mattress oils and odors. Then vacuum up the baking soda. If you can't take your mattress outside, do the next best thing: open up the windows and let light in. Ventilation clears out odors while sunlight naturally disinfects, dries wetness, and bleaches stains. Need an excuse to not make the bed? Pulling back the covers every day also helps eliminate trapped moisture. Now you're ready to make the bed with a clean mattress and linens. 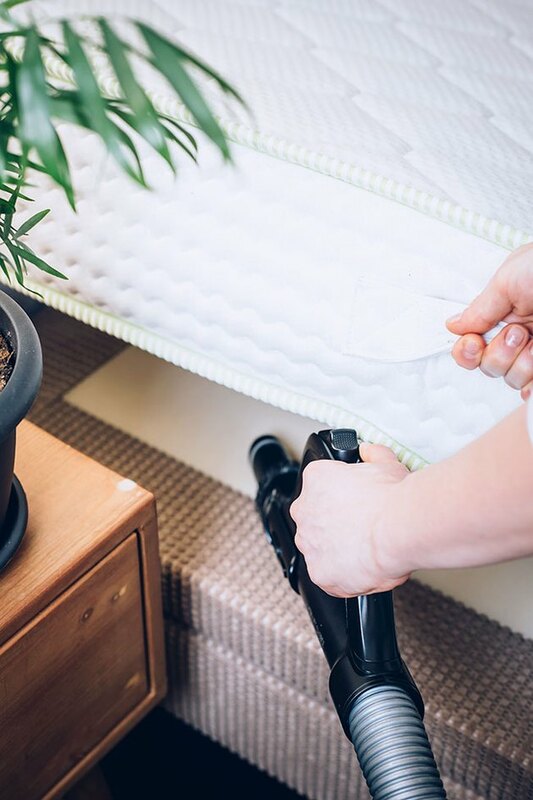 To keep your mattress fresh and clean, repeat the cleaning process at least twice a year. TIP: Got a new mattress? Give it a chance to air out. Open up the windows and let it ventilate for at least 24 hours to avoid inhaling off-gas VOC emissions. Stephanie Gerber is the founder and editor of the beauty and wellness site, HelloGlow.co. She lives in Nashville with her husband and three children. How Do You Clean a Mattress With White Vinegar?